My latest revision of the smartswitch supports the maximum (due to the MCP23017) of 16 button. 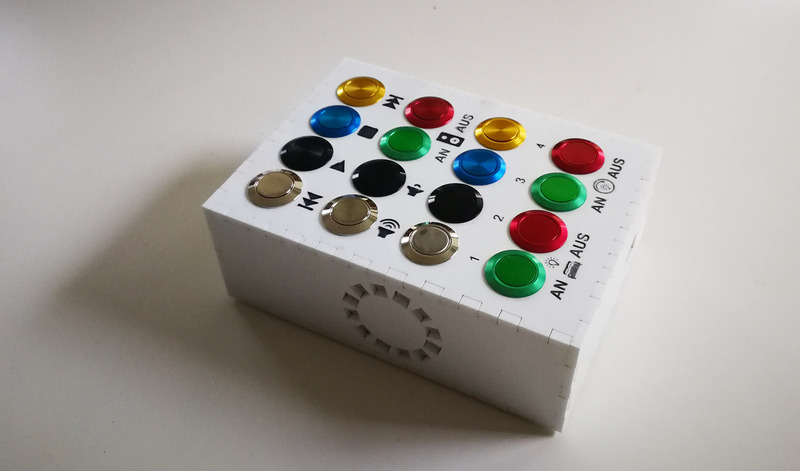 I’ve used anti vandalism buttons in different colors so the user can identify the function easily. All the other components are the same like in the last revision.